Whatsapp is a lifesaver and one of the most important apps on the smartphone of many us. We use the app, tirelessly, to keep in touch with our friends, communicate with our colleagues and talk to our parents. There is a downside to this constant connected-ness. The terrifying pings of the Whatsapp group you didn’t even know you were part of. Your distant uncle made a group about Bad Jokes and he thought you should be part of it. Yes, the horror. The pings never stop and you wish that you hadn’t given your phone number to anyone. However, times are a changing and so is Whatsapp. The Messaging app will be releasing a new privacy feature for select individuals today. This new feature allows you to decide who gets to invite you to a group. The feature gives you three options to choose from, “Nobody”, “Everybody” and “My Contacts”. If you choose “Nobody”, then you will have to approve every group you have been invited to. 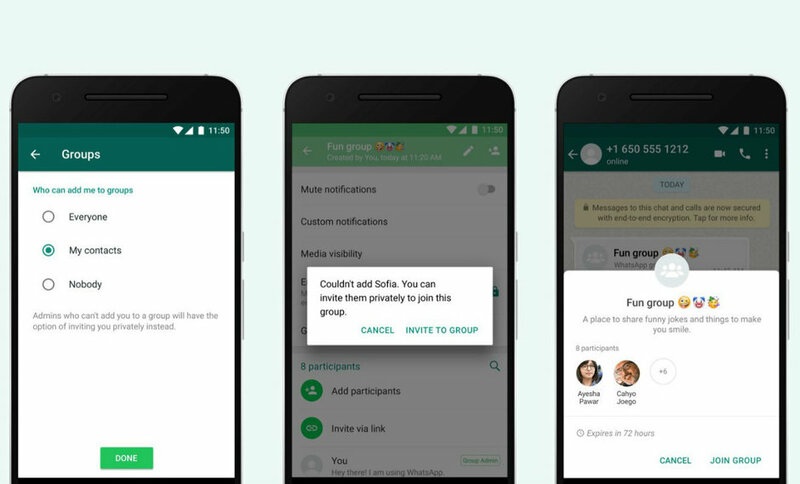 “Everybody” is the default option on Whatsapp right now, so anyone can invite you to a group. “My Contacts” is self-explanatory, only someone from your contacts can add you to a group. The days of wild pinging from forgotten uncles are over. Whatsapp will extend this privacy feature to us common folk in a few months. Until then, might I suggest the mute feature.